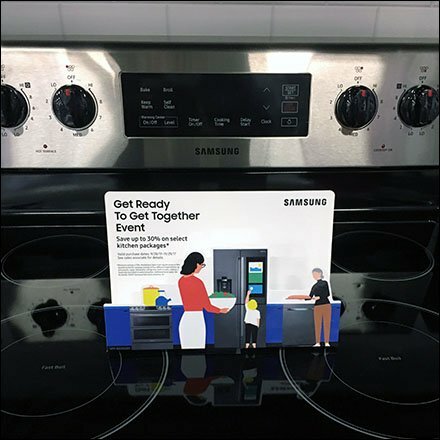 Just putting this Samsung Stovetop Appliance Promotion atop the appliance captures attention … either because of the natural negative space, or that normally one does not stand anything but a pot atop a stovetop. In any event, Samsung said its piece and made a statement contrasting with other, nearby, naked-top appliances. Consider from various distances in the Samsung Stovetop Appliance Promotion galley of images.